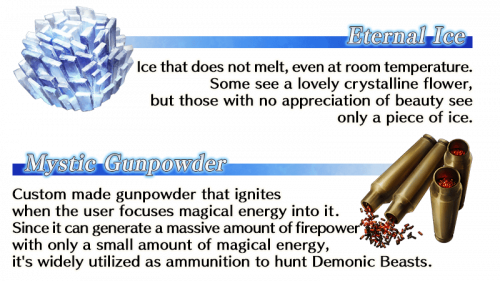 Release of Lostbelt No.1 - The Eternally Frozen Empire, Anastasia the Princess of the Beast's Land. -- The First Chapter of the Lostbelt Arc. 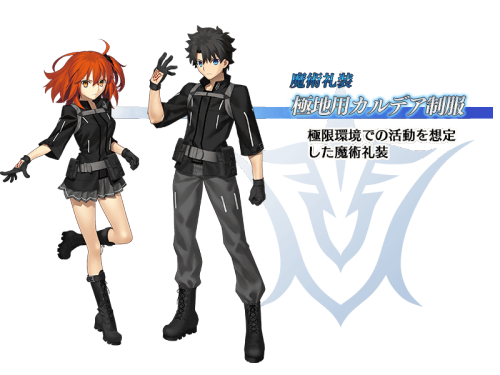 A new mystic code is released; "Chaldea Arctic Uniform." Critical star allocation are now displayed in the Tactical Phase of battle instead of after entering the Command Phase. Pressing the back button will not change how the critical stars are distributed. If you have more than 50 stars, extra stars remaining after the distribution will be displayed in gray. These stars will not be carried over to the next turn. Critical Stars are applied to cards at the start of your turn and are visible on the command card reel. Using a critical star generating skill such as Intuition will distribute the stars immediately to the command cards. Using a skill that consumes stars will deduct it from the surplus stars before reducing the already distributed stars. Skills that affect a servant's star weight will cause the critical stars to be redistributed among the command cards. In addition you can now go back after hitting the attack button incase you forget to apply skills. Mash will receive new Battle Sprites as well as new attack & NP animations. All the old 1/2★ craft essences will no longer be in circulation and be replaced by 10 new ones. Most low rarity servants will have their art redone. 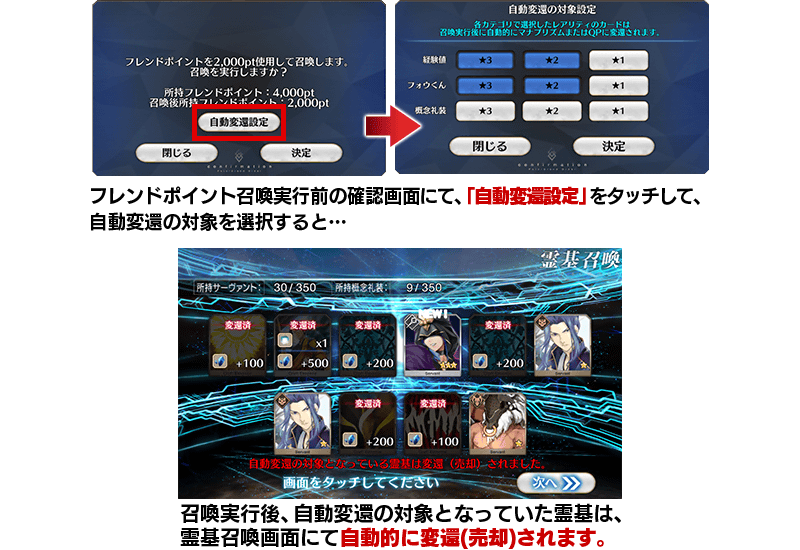 You can set to automatically convert Craft Essences, Fou-Cards and EXP cards to convert to QP. All Servants will be added into the Story gacha after the campaign is over. All Craft Essences will be added into the Story gacha after the campaign is over.